I recently discovered this little gem while i was looking into other beauty boxes. This one is You Beauty Discovery. This is my first box from You Beauty. Each month they have a selection of products where you choose TWO items. When selecting it states what sizes you will receive, which is great in helping you choose the most worthwhile products. They will then add a few extra beauty treats and a magazine explaining all the products that were available that month, pop them all into a very cute and pretty beauty box and send them straight to your door. You get all this for an amazing price of £6.95 and FREE P&P! This is by far the cheapest monthly beauty box I have found so far. You may also receive some vouchers in your box to use if you wish to buy any of the products you have tried, there are also voucher codes in the magazine for several products which were available that month – even if you hadn’t picked them for your box. This month’s box had a theme of “Best of British”, so all the products that were available were all made by some of the best British cosmetic companies. 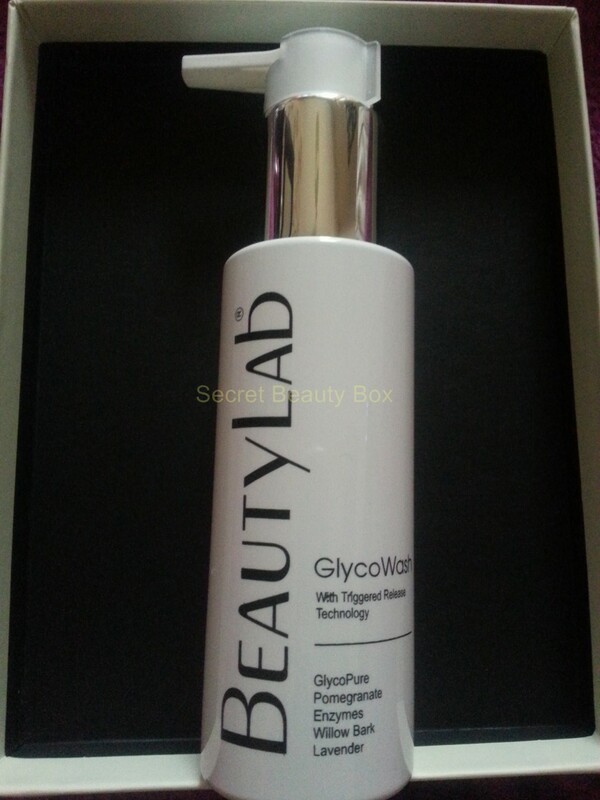 The first item I chose was the Beauty Lab Glyco Face Wash. This sample size is 100ml, which is half the size of the full sized item. So this item alone is worth £16, which is fantastic. It is also a decent size, which means you can get enough use out of it to decide whether the product is right for you or not. This is a high performance, multifunctional wash, which is a perfect cleansing solution as it removes impurities, unclogs pores and accelerates cell renewal cycle, resulting in fresh, radiant and youthful looking skin. I love the size of this item, and the bottle is great. A very professional looking product which looks great in the bathroom. It is also in a very handy pump action bottle, which makes using it a lot easier. It smells great, and has a very fresh and clean smell, fantastic for a face wash. You are meant to use it 2-3 times a week, so i haven’t used it for very long so far. But I am very happy with it up to now, my skin feels very clean and soft after using the Glyco Wash, its a foaming gel, so a little goes a long way so this is going to last me a while! I am very happy that I chose this item! 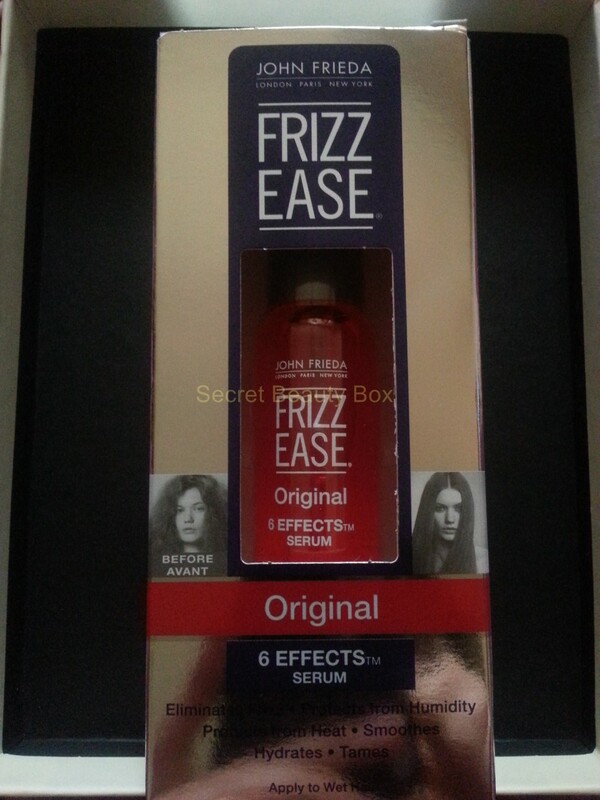 My second item: Frizz Ease Original 6 Effects Serum. This sample size is 25ml, which is also half the size of the full sized product. So this one is worth around £3. This product works to eliminate frizz and repel humidity, which gives your hair a glossy, silky smooth finish. This is very handy for me as I use Frizz Ease products a lot, and i am going on holiday in May, so this little beauty will be going in my suitcase! I already knew what this product was going to be like when I chose it, as i use this every time I wash my hair. I couldn’t live without this stuff. My hair gets very frizzy, especially when I blow dry it as well. So this helps me tame my locks and not make me look like I have a birds nest for hair! So this item will definitely be a holiday essential for me and will be getting saved especially for my jollies, just to make sure I have some to take with me. Otherwise I will end up like Monica off Friends when she goes on holiday! 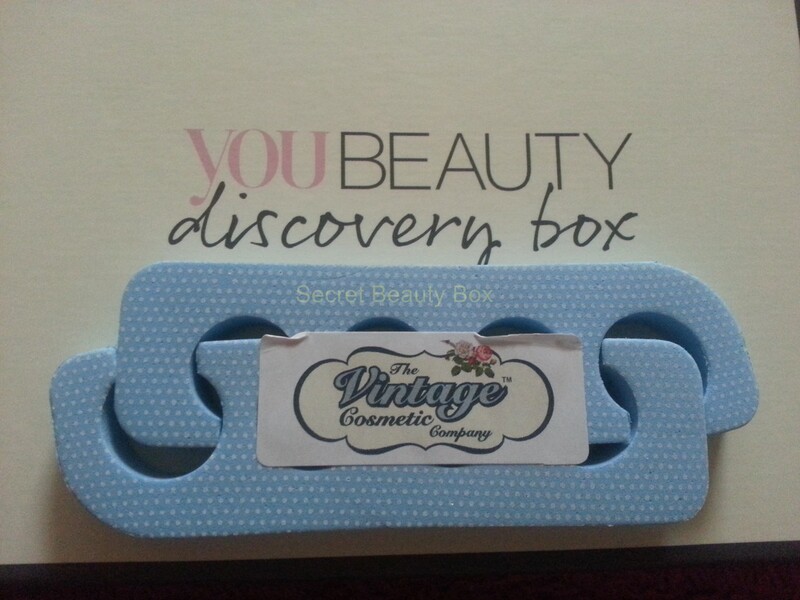 Then you get a couple of extra treats added into the box, for this month I got a pair of The Vintage Cosmetic Company Toe Separators. You would have either received these or a pair of Tweezers, or Gracie Lashes. I was hoping for the Tweezers as I know I would definitely have used them. But unfortunately I got the Toe Separators which I know I wont get much use out of. But as I am also a mobile beauty therapist I suppose I may get some use out of them for my clients. The toe separators are worth £3.75. 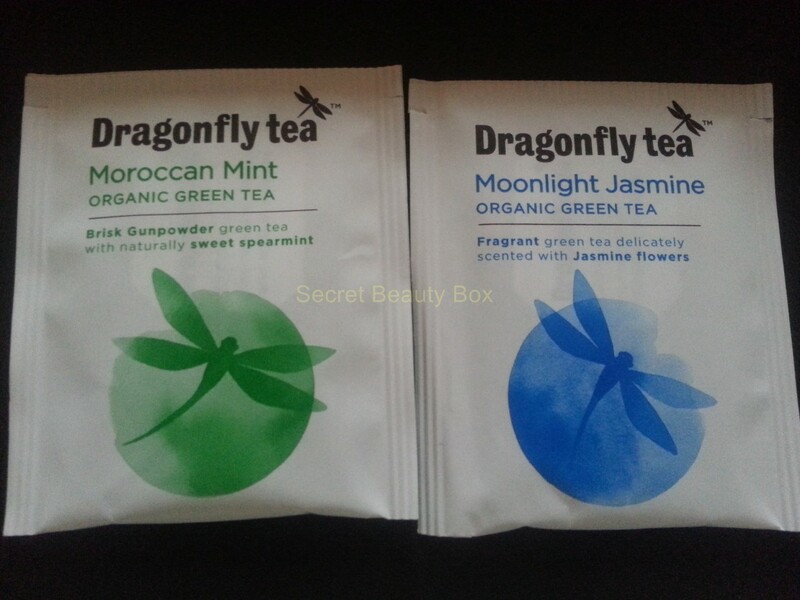 The other extras were two samples of Dragonfly Tea. One is Moroccan Mint organic green tea, and the other is Moonlight Jasmine organic green tea. These are only worth about 20p but they are a nice little extra. I have recently started drinking green tea as part of my new healthy diet, I have never really drank it before so it’s nice to be able to have some samples i can try out before I buy. These are very handy and I think I will take these into work with me, so I am saving them for then. So overall I am very impressed with this box, for the price you pay you definitely get more than your monies worth! I paid £6.95 and the contents of the box I received is worth around £23. I really like the way you get to choose the item which you want to receive, so you can make sure you get the best products and maybe the products that are larger in size. But you have to make sure you choose quickly as some products will sell out quickly. I can not wait for next months box, and I can’t wait to see what products I get to choose from. Next months theme is Organic and Natural. So if you are contemplating getting this box I would highly recommend it. Let me know what you think, and if any of you are subscribers of You Beauty Discovery. I would love to hear from you.